Status: Home to Ogletree Deakins law firm, global tech giant Capgemini's first S.C. office, Founders Federal Credit Union and Central Carolina Community Foundation. At 108,541 square feet, the First Base Building is Columbia’s largest private office building since 2009. 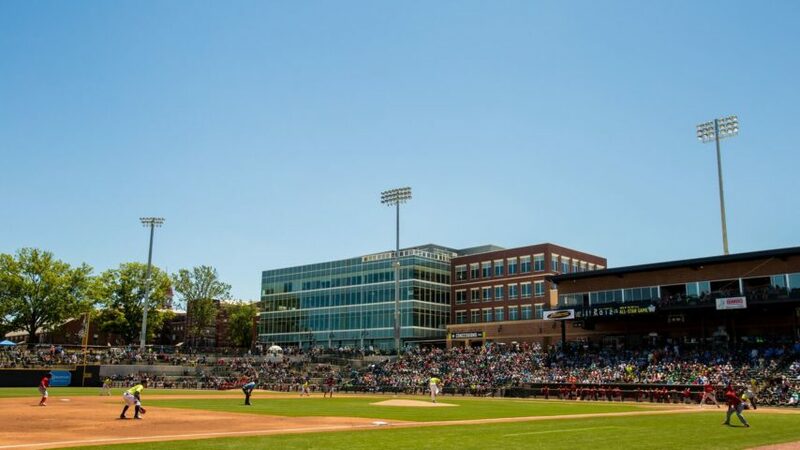 It is fully integrated into Segra Park with retail space opening onto the baseball concourse. The building also features underground parking and a rooftop terrace for tenants.